I'm going to upload two more photos from my day-trip to Nagano (so I'll be breaking the rule!). 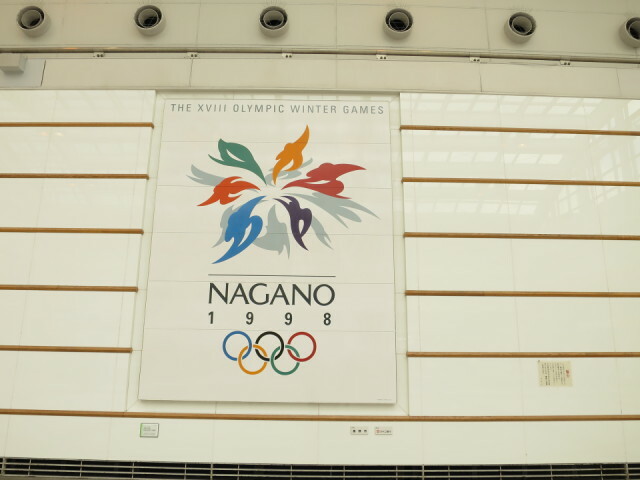 Nagano hosted the 1998 Winter Olympics and Paralympics, the second Winter Olympics held in Japan. This huge emblem for the games displayed in Nagano Station reminded me of that. 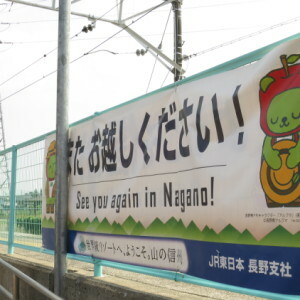 I also learned, at present, Nagano was the southernmost host of the Winter Olympics Games. It was the very first time for me and my father to get off at the station.